Abu Dhabi: External Affairs Minister (EAM) Sushma Swaraj inaugurated the Gandhi-Zayed Digital Museum here on Tuesday. 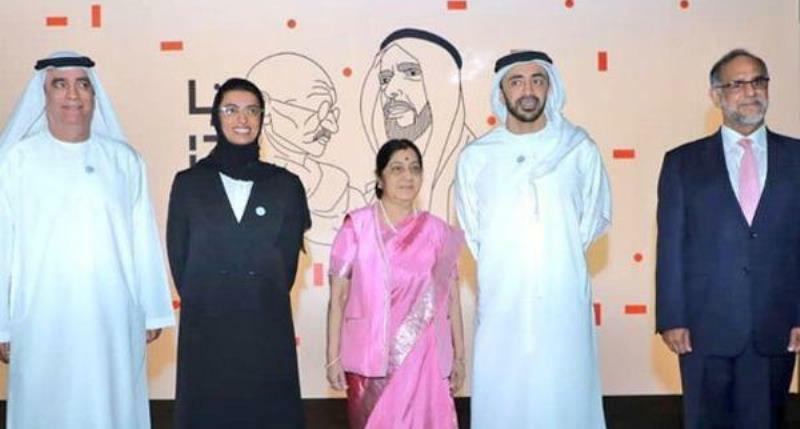 Sushma inaugurated the Museum on along with Foreign Minister of UAE Sheikh Abdullah bin Zayed Al Nahyan to marks the 150th birth anniversary celebrations of Mahatma Gandhi and the centenary celebrations of UAE’s founding father Sheikh Zayed. “Valuing Peace, Tolerance and Sustainability. 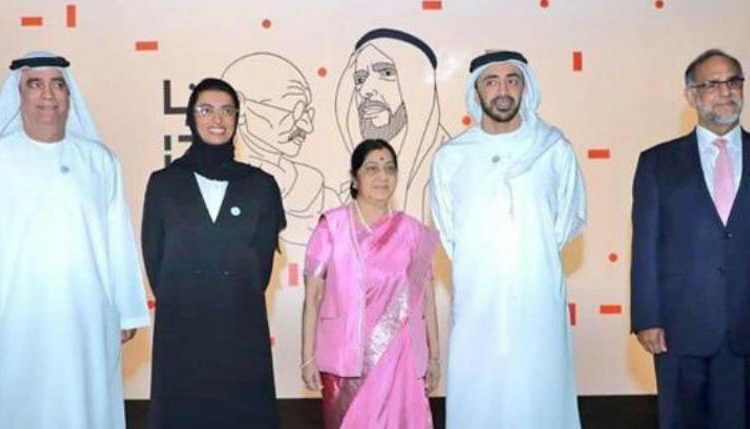 EAM @SushmaSwaraj and Foreign Minister Sheikh Abdullah bin Zayed Al Nahyan jointly launch the Gandhi-Zayed Digital Museum commemorating the 100th year of Founding Father of #UAE Sheikh Zayed and 150th year of Mahatma Gandhi #BapuAt150,” the Spokesperson of the Ministry of External Affairs, Raveesh Kumar, tweeted today. The External Affairs Minister, who is on a two-day visit to the Abu Dhabi, earlier co-chaired the 12the Joint Commission Meeting between India and UAE along with her Emirati counterpart Sheikh Abdullah bin Zayed Al Nahyan. Both the leaders held discussions on cooperation in energy, security, trade, investments, space, defence & consular, among others, while two key agreements were signed between the two nations. “I appreciate your contribution in enhancing relations with UAE. UAE hosts a 3.3. million-strong Indian community – the largest number of Indians outside India,” said Sushma Swaraj while addressing the Indian community in Abu Dhabi. Apart from addressing the Indians over there, the Minister also called on Crown Prince of Abu Dhabi, HH Sheikh Mohammed bin Zayed Al Nahyan.